Banerjee said foreign forces close to the Bharatiya Janata Party had a hand in the pro-Gorkhaland agitation. 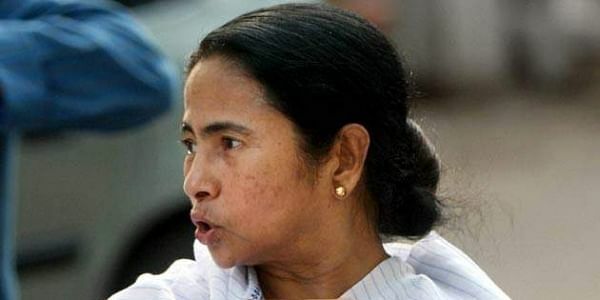 KOLKATA: West Bengal Chief Minister Mamata Banerjee today urged the political parties in the Darjeeling hills to return to the path of peace and sit with the government for talks. "The government is ready for talks with the hill parties, but peace has to be ushered in. The government has shown enough restraint in the interest of the people of the hills. Peace has to return to the hills," she said here. "If peace returns in the next 10-15 days, I can call the hill parties for talks. But, let us restore peace first," she added. Banerjee said schools and colleges remained closed in Darjeeling, the people there were not getting enough food and other essential commodities and alleged that the leaders of the hill parties, however, were getting their supplies "from Sikkim and Nepal". The state government, she added, would send food to the people of the hills. The chief minister accused the Centre of "deliberate and total non-cooperation" in the matter and alleged that its refusal to send CRPF personnel, as demanded by the West Bengal government, had led to the current situation in the Darjeeling hills, where an indefinite shutdown, called by the Gorkha Janmukti Morcha (GJM) and backed by the other political parties in the hills, entered its 24th day today. "The Darjeeling problem had erupted on June 8 and a month has passed since. Had the CRPF personnel been sent in time, this would not have happened," she said. Banerjee claimed that as the state police did not have enough personnel to tackle the situation in the hills, the assistance of the central forces was sought. "The Centre sent seven companies, out of which three were from the Sashastra Seema Bal (SSB). They have been completely inactive. They can only wield lathis with no power," she said. Banerjee alleged that the BJP-led NDA government at the Centre had "perpetrated" the problems in Kashmir and was now "trying to destabilise" the hills. "The Centre must cooperate. The state will also. Politics and governance are different," she said. The chief minister claimed that certain decisions of the Centre such as demonetisation and the Goods and Services Tax (GST) were nothing but "big corruptions". "These will be exposed once the BJP is not in power," she claimed.